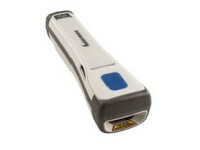 Consistent, accurate data capture is fundamental to patient safety and cost-effective healthcare operations, yet traditional gun-shaped handheld scanners were not designed to move with the worker. To address this challenge and make it easier to collect data at the point of care, we developed the SF61B healthcare mobility scanner. Small enough to stow in a pocket, it travels with the worker and can be quickly accessed or securely tucked away when unencumbered use of both hands is required. This makes it ideal for today’s busy healthcare environment, where complete freedom of movement is essential and occasional scanning is required. The SF61B easily integrates with existing healthcare information management systems and—with integrated Bluetooth wireless—easily pairs with iOS, Android and Windows Mobile smartphones and tablets. 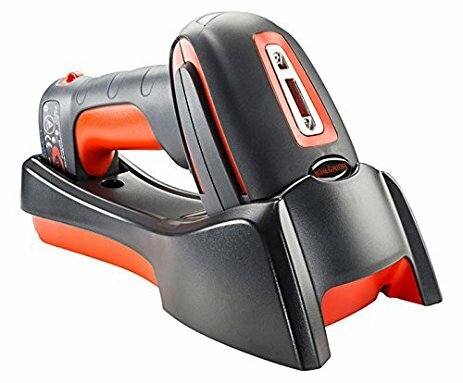 Its compact form factor is small enough to fit into awkward or constricted spaces, and a high performance imager makes it easy to scan all 1D and 2D codes—regardless of angle or orientation. High motion tolerance (up to 400 in/sec) and omni-directional reading capability result in extremely responsive, hassle-free scanning. 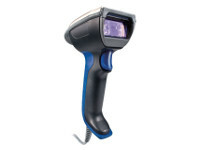 And to ensure totally safe operation in patient-facing applications, the SF61B uses a laser-free design that provides this high performance scanning capability without the risk of eye injury. 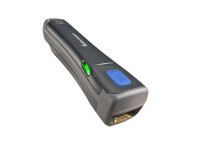 As a mobility scanner, the SF61B was engineered for all-day wireless performance. An integrated Bluetooth Class 1 radio enables wireless communication at ranges up to 100 m (325 ft) from the host, and its field-replaceable battery lasts well beyond a full shift, even in the most scan-intensive applications. The SF61B is also highly customizable to complement your healthcare environment. With our free EasySet™ PC programming tool, you can adjust security settings, beeper volume, and even enable haptic feedback (vibration profiles) for quiet hospital settings where audible tones are not desired. When you’re satisfied with the settings, simply create a configuration bar code to quickly program additional scanners to match. 1 Battery life may varies depending on ambient temperature, ambient light and battery life. 2 Typical number of scans possible without a battery recharge, in a typical office environment (250 lux) at ambient temperature. Environmental Compliance Requirements Conforms to environmental compliance requirements for RoHS, China RoHS, WEEE, and REACH. Three year standard warranty, with extended protection available through Intermec Medallion Support Services. 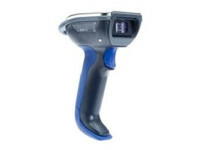 View the SF61B Accessory Guide for complete details. * These accessories are backward compatible with SF51.